Cheap, chintzy, frugal, call me what you want; I love a good bargain. Whether picking $9 dresses off GAP's clearance racks, purchasing Puma shoes from Marden's, or buying in bulk at Sam's Club (although you have to do your homework and compare, because sometimes, bulk is not better), I get a rush of excitement when I find an item at a severely discounted price. I know a few other people who share my passion for mark downs. I work with a man who is the King of coupons. Tell him what you are looking for, make-up to marinade and he is on the case. He will clip coupons and study the Sunday sales flyer's and never disappoints. He will buy bags upon bags of good deals all while spending next to nothing, sometimes nothing, and sometimes the stores have to PAY HIM, although they never do! Last weekend I was on a quest for wipes. Armed with seven $2 off Pampers coupons, I headed into my all time favorite retail location, Target. By-passing the purses, shoes, and sunglasses (and I desperately need a new pair), I charged into the baby section. 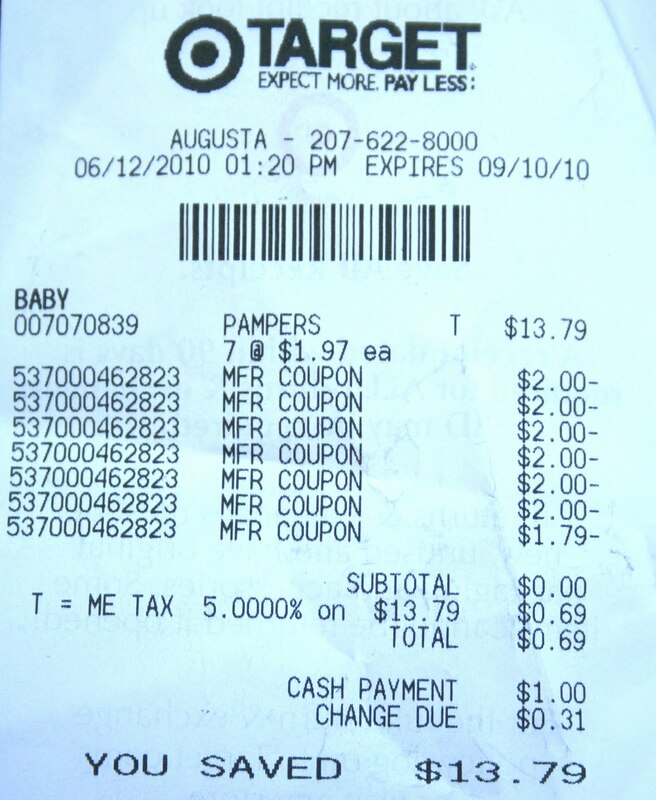 To my surprise I saw those darling little price cut markers under the PAMPERS WIPES! When I saw the cut back price of $1.97, I may have let out a squeal of delight and there may have been a fist pump or two, but thankfully no one was counting. I loaded up my basket, immediately regretting not getting a cart and strutted to the check out. 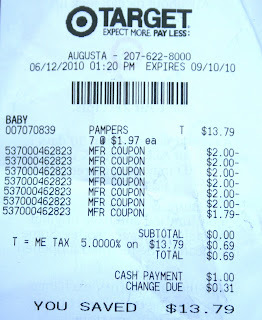 The cashier rang in the wipes one by one and before she hit the button to total it up, I nonchalantly said, "oh, I have coupons for those" all the while knowing I was not going to leave that place spending more than $1! HA! So one by one deducted my $2 coupons on my $1.97 wipes. "AMY - What was the total? What did you spend? Tell me, tell me, tell me!!" Calm down, I am not going to tell you, I am going to shoooow you. Tap, tap, that was me patting myself on the shoulder (because I can't reach my back). That is quite the loot, Amy. When I saw all those wipes I thought you might be hinting at a baby #2. Any chance? Does anybody else care to comment on this abundance of wipes? Anybody?